I like the cupcakes are cool one. It reminds me of my sketches for cupcake ideas I always have arrows going everywhere saying what stuff is! :P love them all though! super cute. Please contact me at SaucyGurl423@hotmail.com! We are at it again – another giveaway and review! I am so happy at that Dressing on the Side was able to be a part of our next giveaway! 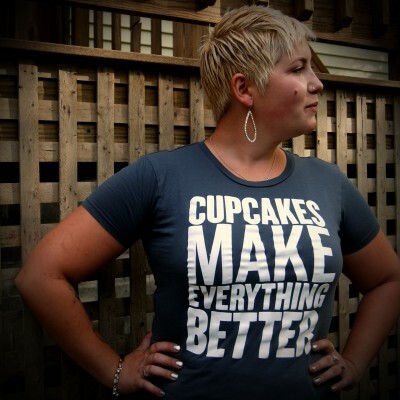 They have awesome t-shirts, many of which are cupcake themed. They were kind enough to send over a t-shirt for me to test run. 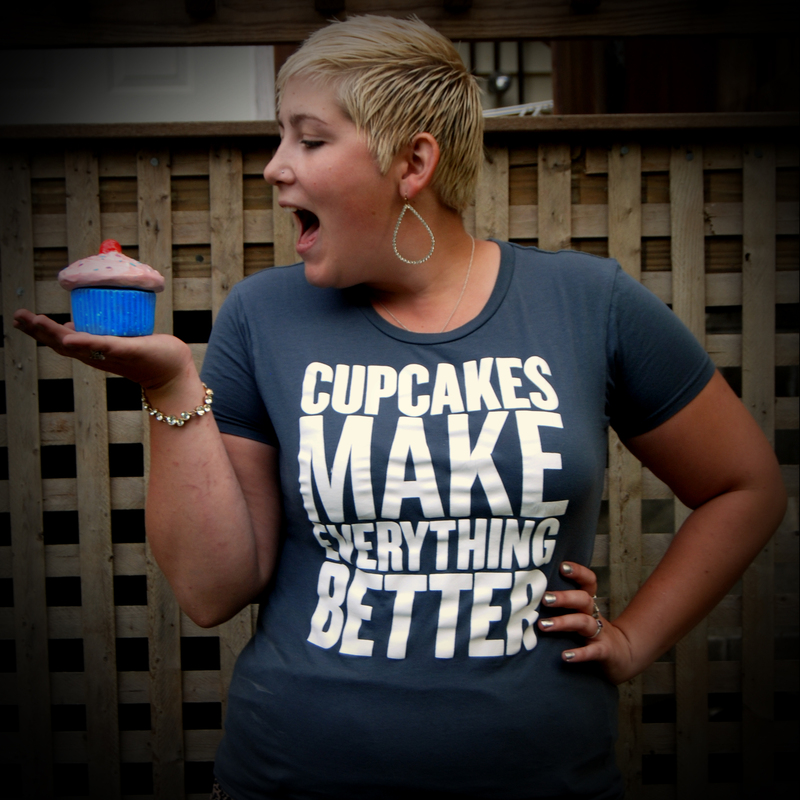 My favorite shirt and the one that we will be giving away is the CUPCAKES make EVERYTHING BETTER shirt. I love the design on the shirt, the color is great and it is SUPER COMFY! 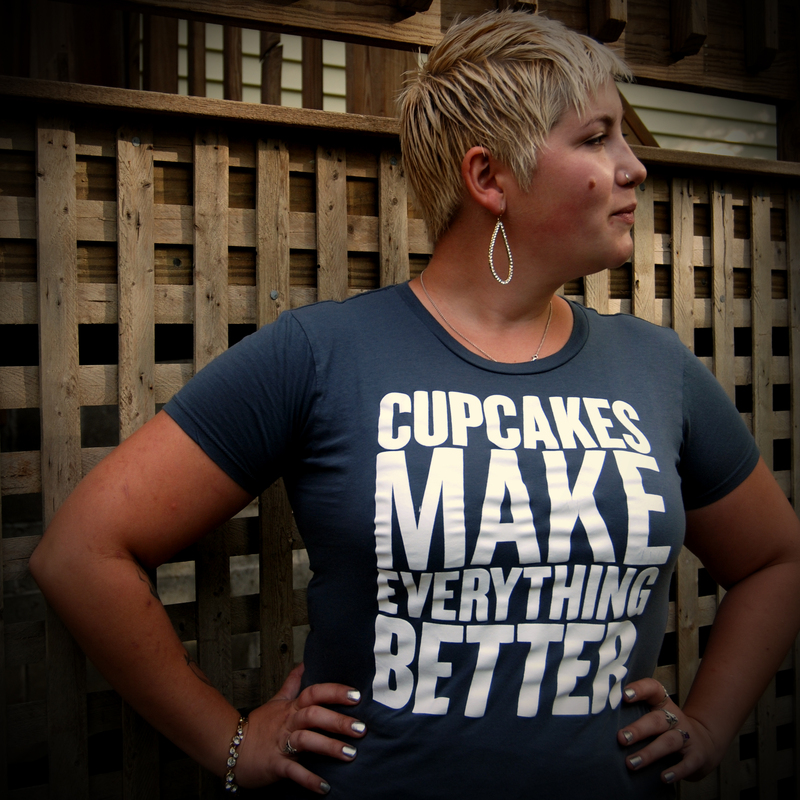 Here are a few photos of my lovely friend, Leandra kindly modeling this amazing t-shirt! To enter the giveaway head on over to Dressing on the Sides Etsy Shop and check out all of their great t-shirts- pick your favorite shirt (besides the one we are giving away) and tell us all about it in our comment section. One lucky winner will be picked at random one week from today. What was your favorite cereal growing up? Mine was Cap’n Crunch Berries, among others! But, if you answered Cinnamon Toast Crunch – then this post is for you. 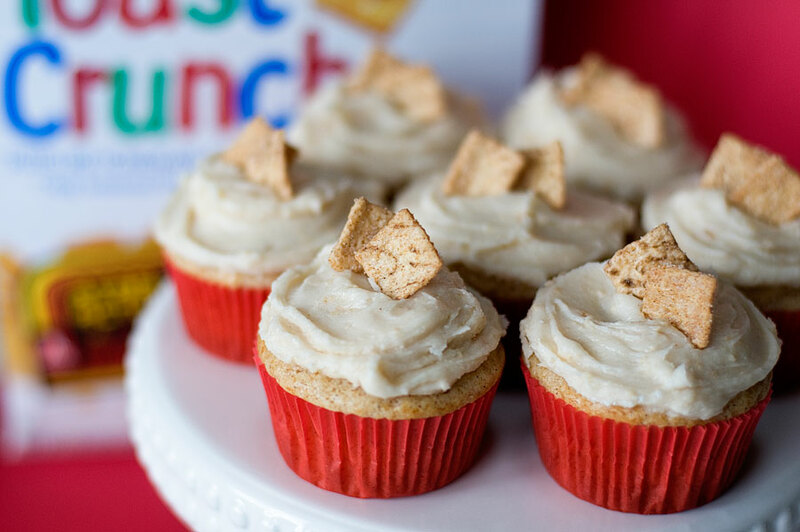 With Sprinkles on Top posted this great recipe for Cinnamon Toast Crunch Cupcakes. I love recipes that use a boxed mix and adds a few ingredients to make it fancy- Genius! I would donate this adorable collar to the sweet kitties at my local animal shelter’s “cattery”! Shannon, Please contact me at SaucyGurl423@hotmail.com within the week. Congrats to Shannon! Stay tuned for the next giveaway. Thanks again to Sweet Pickles Designs! 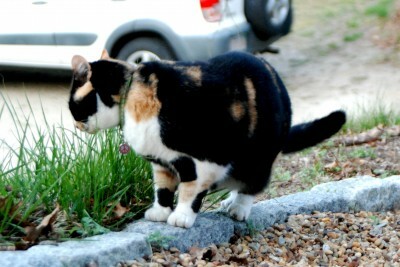 And the winner of our Cupcake Cat Collar is .. .
Shannon, Please contact me at SaucyGurl423@hotmail.com! Recently I received a great little gem in the mail from Sweet Pickles Design! 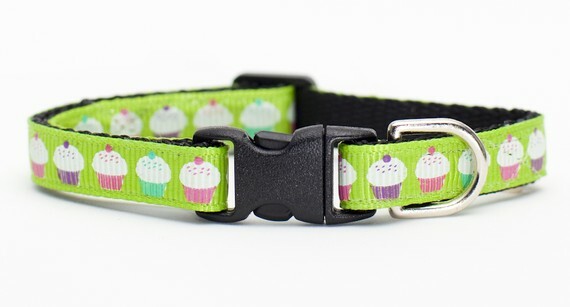 A cupcake collar for my furry love bug, Pixel! I must say, she looks pretty snazzy in it. 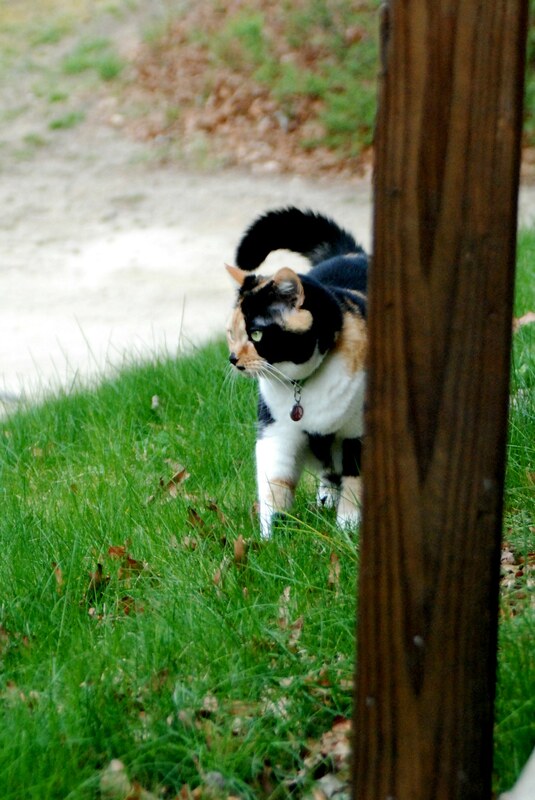 Here are a few pictures of her gallivanting outside in her new swag (peace name tag not included). 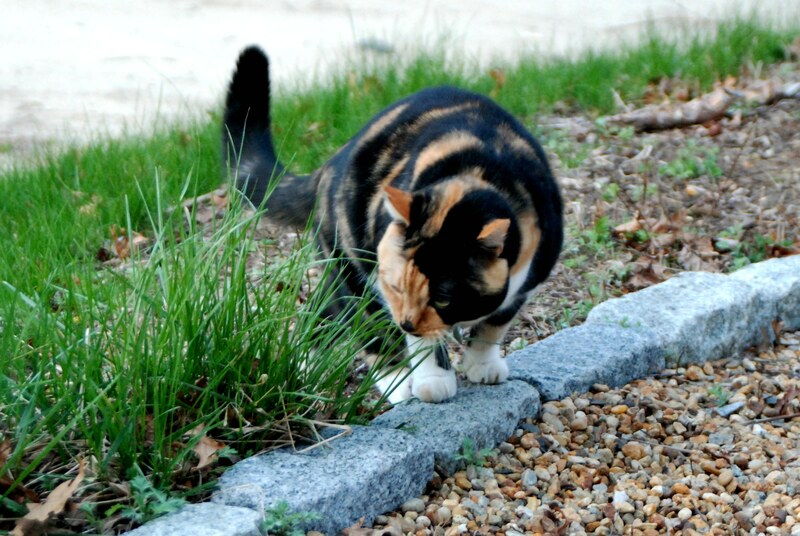 It was really hard to get a good picture of her with the collar showing, shes quite fluffy! And now you have the chance to win one for your furry love bug too! 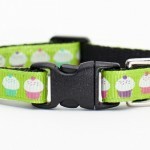 Sweet Pickles Design is giving away one collar for one lucky winner. Comment below with your Cat’s name and a cute/funny/great story about your cat! If you do not have a cat, tell us what you would name your cat if you had one. One lucky winner will be picked at random one week from today. Pudding and Booze in cupcake form – FABULOUS! Could there be anything better? These shooters are made with Pinnacle Cake Vodka and Godiva White Chocolate Liqueur, sounds very decadent! 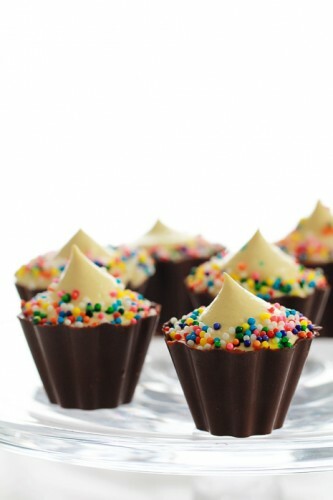 Melted chocolate and a silicone mold are used to make the cupcake shells.